SAVE THE DATE - April 28th for Spring's premier FREE dog event at Strangeways Brewing. Beers, dogs, food trucks, pet vendors, prizes and more. STRANGEWAYS BREWING is proud to once again support the animal rescue community with their annual Spring dog event. Grab a grass skirt and some friends (with and without fur) and join us at our Richmond brewery for a fur filled day of fun with Bow Wow Meow Luau on Sunday, April 28th benefiting Richmond Animal Care and Control Foundation. A suggested donation of $5+ will get you a sweet RACC koozie while supplies last. Donations go directly to Richmond Animal Care & Control Foundation. FOOD TRUCKS - 12pm - 6pm YUM! It's a day full of fur and fun. Come join us. Keep the party and donations going... fill a Can-ine crowler full of your favorite Strangeways Beer to go and we will donate $1 back to RACCF. *Well behaved leashed dogs only, please. Please remain aware of your dogs anxiety as they approach other dogs and humans. There will be treats, food, music and kids around. If your dog reacts aggressively to any of these potential triggers or stimuli, please leave them to the comfort of their home surroundings. Dogs will be allowed to participate in either the 5k or the fun run, providing they are in good health and on 5' or less leash (no flexible/retractable leashes will be permitted). Please print, sign and bring the waiver with you. Race registrants will receive a race shirt. Be sure to register before April 15 to be guaranteed a shirt. We are excited to share that Golly Waffles will be attending the race and all 5K registrants will recieve a coupon for a complimentary coffee and waffle! Packet pick up will be held at Camp High Road on race day, Sunday, April 28 starting at 8:00 am. Late registrations will also be accepted. Awards will be given to the overall top three male and female finishers and the top two fundraisers. 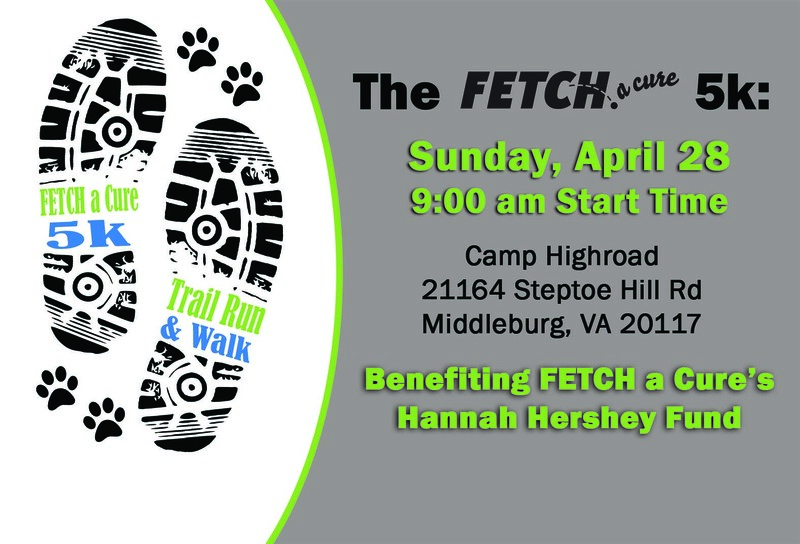 Hosted by: Southeastern Virginia Golden Retriever Rescue, Education, and Training! The Richmond Animal League's annual family-friendly dog festival with dog adoptions, dog games, vendors and businesses, Animal rescue groups, Kids zone, live music and more! Woofstock also features the annual Strut Your Mutt fundraising dog walk (Please register for the dog walk on website link below)! For more information or to register for the walk, please visit the RAL Website or check out event details on Facebook!